The NIACC men’s basketball team dropped a 101-93 overtime decision to the Augustana College Junior Varsity on Sunday in a nonconference contest. Sophomore guard Nick Wurm scored a career-high 35 points with 10 rebounds, six assists and five steals in 45 minutes of action. It was Wurm’s second career double-double. The Trojans also received 14 points and six rebounds off the bench from Izaya Sims. Orrigton Hamilton also reached double figures for the Trojans with 12 points. 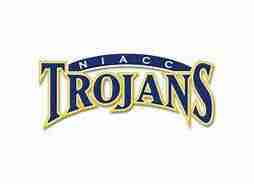 NIACC (10-3) returns to action Saturday at home against Association Free Lutheran Bible School. Game time is set for 2 p.m. in the NIACC gym and will be the Trojans final game before the holiday break.